CD available to buy at gigs for £5 – or pay online by PayPal for £7 inc postage to get a cd sent to your door. Please send an email to jazz@karenlake.co.uk with your postal address & I’ll email a PayPal invoice to you. Our cd was recorded at the beautiful Hassop Hall Hotel, near Bakewell in Derbyshire in May 2015. It certainly inspired us and we loved creating it! We hope you’ll enjoy the 8 songs featured on it. You can have a listen to it HERE. With many thanks to everyone at Hassop Hall Hotel for making us feel so welcome! Thanks too to our lovely and very talented bassist/sound engineer, Rich Keates, for doing such a good job. Not forgetting the amazing song writers of the past who created these gorgeous songs & everyone who comes to see us perform our music and buy our cd. Thank you! We feel there’s something very special in creating beautiful music over the sound of clinking glasses and guests’ happy chatter at a wedding! 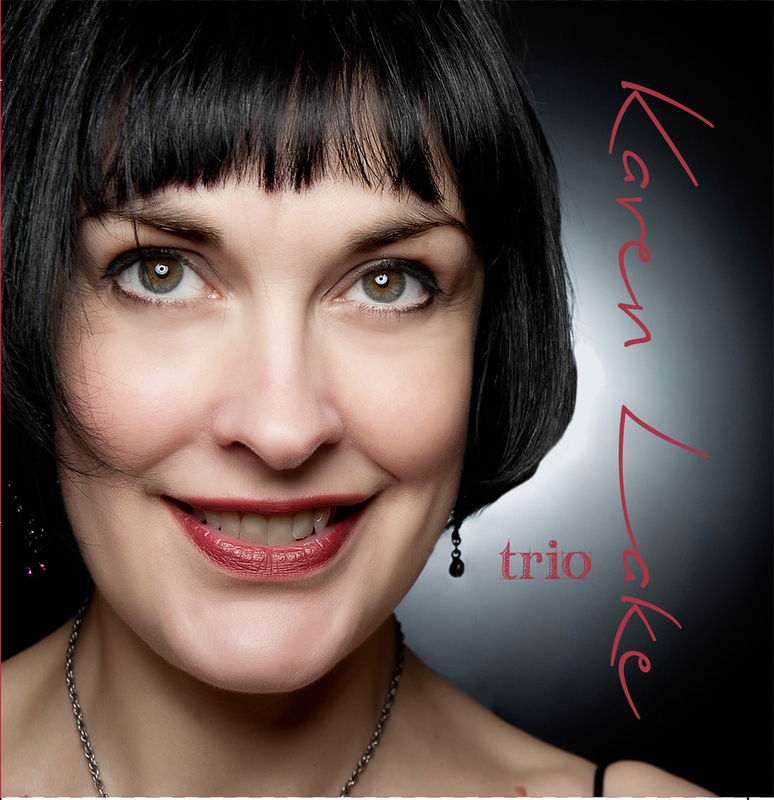 My name is Karen Lake and I’ve been a jazz singer since 2005. I work as part of a highly experienced jazz trio featuring vocals, piano & double bass. We specialise in performing at drinks receptions and dinners where the emphasis is on relaxing background music played at a reasonable volume so your guests can hear themselves talk. Our style is made up of easy listening favourites as sung by the fabulous Ella Fitzgerald & Billie Holiday.